Kronk Clubbing With Ariel and Her Beautiful Sisters. 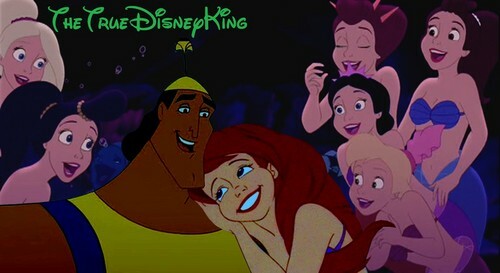 After Meeting Ariel, She and Kronk went to a club to hang with Ariel's Beautiful Sisters. HD Wallpaper and background images in the Disney-Überkreuz club tagged: disney crossover kronk the emperors new groove ariel the little mermaid mermaids princess sisters.